A Million views of SRCMBC movie! 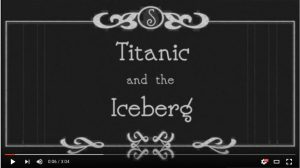 The spoof silent film “Titanic and the Iceberg” has now been viewed over 1 million times (it had been viewed 1,089,318 times by today, 23rd September 2017). But it’s creation was an accident! When they heard that Edward Coombs was planning to sail his model of the Titanic at Setley Pond on 15th April 2012 to mark the Titanic Centenary, club members Richard Coombs (Edwards father), Ken Dyer, and Alan Bond decided to construct an iceberg for the occasion! Peter Taylor was to video the event and create a movie similar to other SRCMBC videos. Unfortunately the day was very windy and there were fears that the Titanic model would capsize and sink due to the wind. As a result the model was only on the water for a short time and hardly any video footage of the ship with a drifting iceberg was obtained. Unable to create a normal video, Peter Taylor, decided to create a “silent movie” with captions inserted to pad out the small amount of video available. Unexpectedly, the video has become our most popular movie on YouTube! 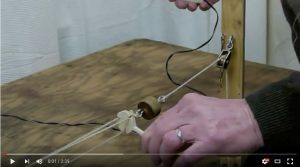 As on 23rd September 2017 the next most popular SRCMBC videos are “Paul Nixon’s Rope Making Machine” (78,504 views), “Alan Bond’s Marine Engine Sound Unit (petrol version)” plus Alan Bond’s Programmable Engine Sound Unit (80,945 views in total), Mike Sheppard’s Trireme (53,510 views), and Reg Radley’s Pirate Brig (22,209 views). You can view an index of the SRCMBC movies either arranged alphabetically by model owners name and movie title, or arranged chronologically (latest first). All the SRCMBC movies are stored on YouTube so you can alternatively explore the SRCMBC movies by viewing the SRCMBC YouTube Channel. As well as model boat related videos there are videos of the Cormorants and of the Herons at Setley Pond and also about the History of the Pond which can all be viewed either on this web site or on YouTube. Solent Radio Control Model Boat Club Home Page > Scale Section News > A Million views of SRCMBC movie!